Dr. Lung completed her residency in Pediatrics in 2009. She strives to give her patients a strong foundation that helps them grow into healthy, successful adults. Dr. Lung is a good listener, it is important for a patient to be heard. My son feels comfortable with Dr. Sophie Lung . Dr. 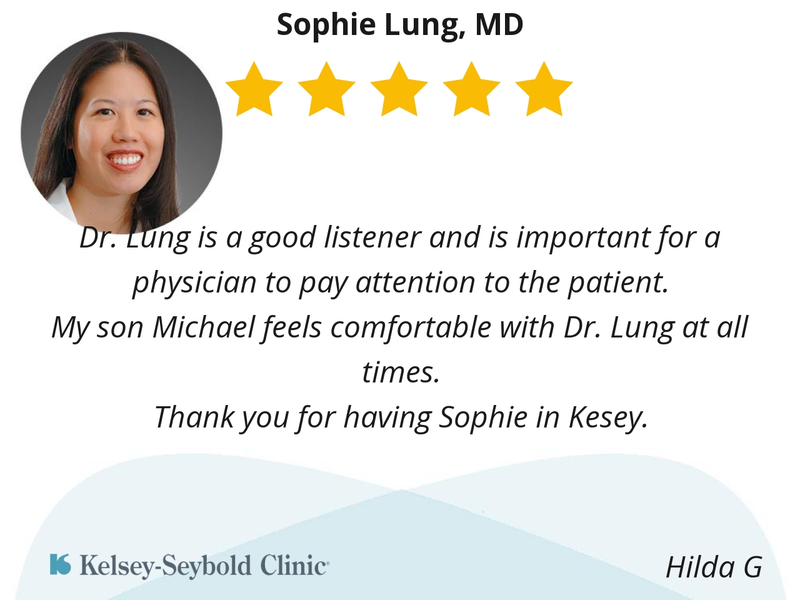 Lung is a good listener and is important for a physician to pay attention to the patient. My son Michael feels comfortable with Dr. Lung at all times. Thank you for having Sophie in Kesey. She is kind and knowledgeable. Her staff is very friendly and helpful. She's such a wonderful pediatrician. We like how nice, caring and good she is. She's been our pediatrician since all the kids were young/babies. We can't ask for a better physician! She's an amazing physician that is always prepared, helpful and interacts with my kids on a level that is refreshing. Dr Lung and all staff are excellent with my child!! She is very responsive, warm affectionate, knows her stuff, calm and reassuring. She is very clear in her treatment plan and I feel fully informed with every medical decision taken on behalf of my children. The doctor always is very attentive and professional. She always has a warm demeanor towards to both me and my children. She sincerely seems to care about their wellbeing. Dr. 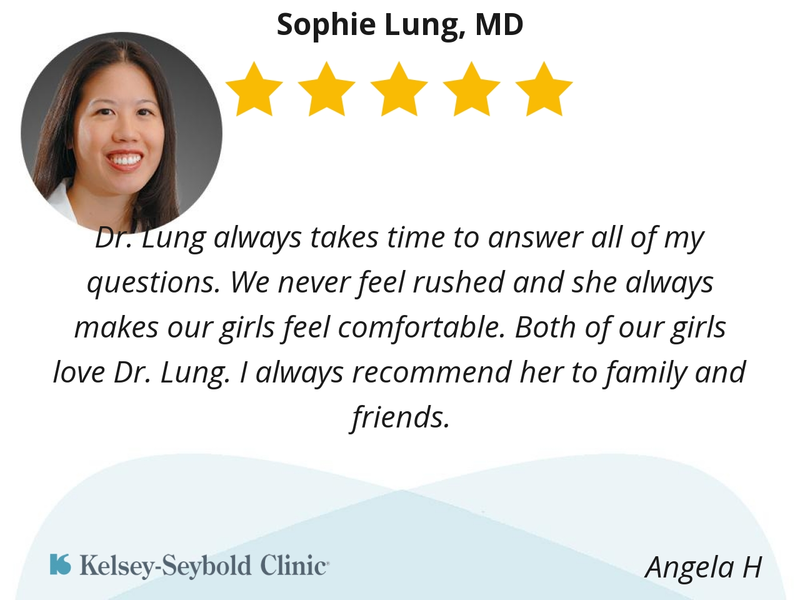 Lung has always trusted my mom instinct and listened to my concerns. 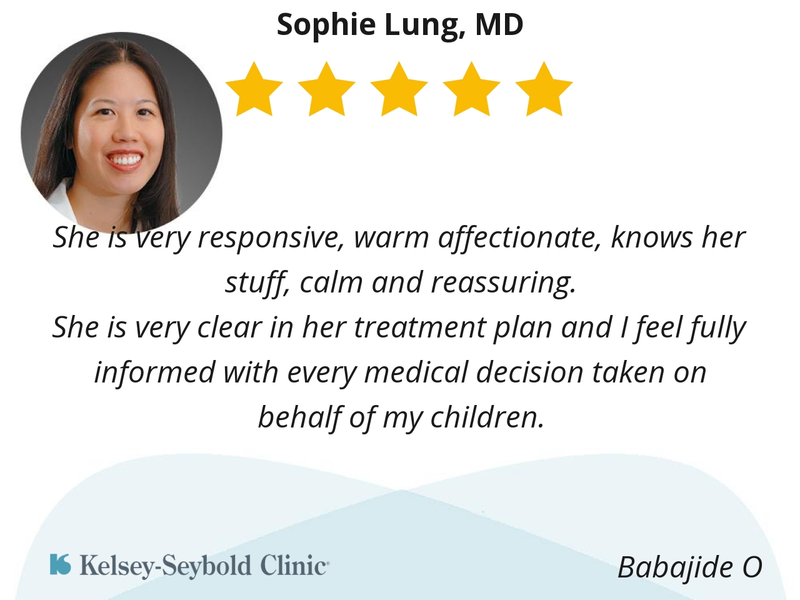 It has been a huge relief to have a pediatrician that I completely trust with my children’s health. I’m so grateful to her and the staff at Kelsey-Seybold! She’s nice and puts my kids at ease while simultaneously doing a great job. She was very, very thorough and understanding of my daughter’s situation. I will be choosing her for our next visit. Dr. Lung always takes time to answer all of my questions. We never feel rushed and she always makes our girls feel comfortable. Both of our girls love Dr. Lung. I always recommend her to family and friends.